The needlepoint design area measures 9" x 12". 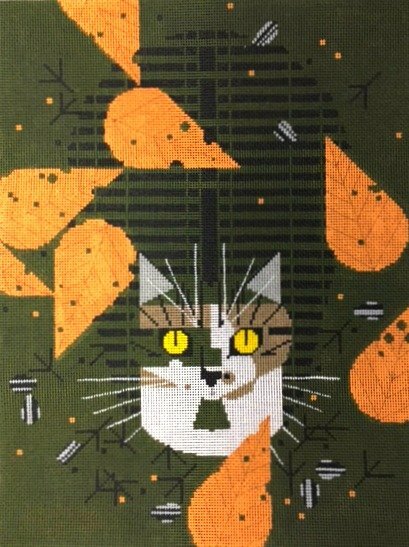 This Charley Harper needlepoint is sold canvas-only or with DMC cotton floss. If you require stretcher bars we recommend a pair of 13" and a pair of 16"
Birdwatcher handpainted Charley Harper needlepoint canvas usually ships in a few days. If you're in a hurry please let us know or inquire about availability before you order.